It’s hard to imagine a band just coming into their own after 20 years of success, but that’s exactly what makes a true anomaly. This multi-national, Celtic juggernaut grows stronger with each live performance, and as you can imagine, after two decades and over 2000 shows, it is a true force to be reckoned with. The band attributes their continued success to their fanatic audience, and it’s a well-diversified crowd for sure. The country-music folks adore the storytelling, the bluegrass-heads love the instrumentals, Celtic fans love their devotion to tradition, and the rockers simply relish the passion they play their instruments with. 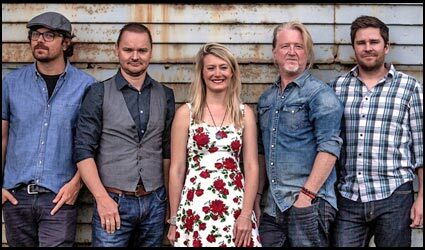 Tonight Gaelic Storm helps us celebrate the 2019 Windjammer Festival! Tickets on sale beginning March 1. Advance discounted tickets $30, available from the box office at 207-633-5159. Regular tickets $35, online and at the door. Sponsored by First Federal Savings & Loan!